Senate Interior & Environmental Appropriators released their FY17 Appropriations bill last week. The legislation restores key clean water funding and supports integrated planning efforts – results reflecting the Association’s significant advocacy on these issues. 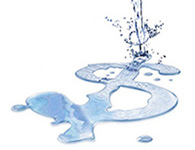 NACWA has been closely the monitoring the Appropriations process since the President’s FY17 Budget proposed drastic cuts to the Clean Water State Revolving Fund (CWSRF). The Association is very pleased to report that the Senate’s FY17 Bill restores nearly all of the proposed cuts. The bill would provide $1.35 billion in FY17 for the CWSRF – still less than the $1.39 Billion authorized in FY16, but a much stronger funding level than the $979 million which the Administration proposed. The Senate bill also supports other NACWA priorities including providing $3 million for EPA’s Integrated Planning initiative. The restoration of 90% of the CWSRF proposed cuts and the inclusion of the appropriation for integrated planning is a testament of the power of clean water advocacy, including the many letters to Congress that NACWA Member Agencies submitted in support of both programs and the meetings held during the National Water Policy Forum & Fly-In in April. The Senate’s FY17 Interior and EPA spending package provides much stronger funding for the CWSRF than the $1.0 billion provided in the House’s bill, which was released by the House Interior & Environment Subcommittee last month and passed by the full Committee on Wednesday, June 15. The House bill did provide a strong $6.5 million for integrated planning. The full House bill can be reviewed here , and the full Senate bill can be reviewed here . 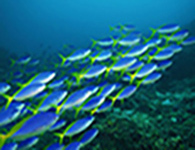 NACWA filed comments June 17 on a draft document developed by EPA and the U.S. Geological Survey (USGS), Technical Report: Protecting Aquatic Life from Effect of Hydrologic Alteration , raising concerns over the extensive policy and legal discussions throughout the draft. NACWA appreciates the extensive comments and input it received from members on this issue. Special thanks go out to Clean Water Services in Hillsboro, Oregon, the City of Raleigh, North Carolina, and the Metro Wastewater Reclamation District in Denver, Colorado for their input. 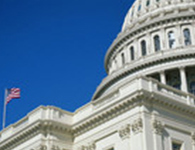 NACWA joined with 15 other organizations representing the local government, water, and infrastructure sectors on June 17 in sending a letter to Senator Mitch McConnell (R-KY) regarding the 2016 Water Resources Development Act (WRDA). The NACWA-led letter demonstrates the bill’s broad base of support. As Senate Majority Leader, Sen. McConnell will determine whether the 2016 WRDA bill, which passed out of the Senate Environment & Public Works Committee in late April, will receive floor time in the this year. Stakeholders, including NACWA, are urging that the bill go to the floor before the Congressional summer recess in mid-July, given the election-year uncertainties that will be in play this fall. The bill received remarkable bipartisan support in the Committee, where it passed 19-1, and includes a number of Clean Water Act-related reforms that could benefit communities and utilities around the country. NACWA hosted nearly 140 participants on a June 15 legal web seminar for a discussion on pending permit shield litigation and efforts to overturn negative lower court precedent. Richard S. Davis, Beveridge & Diamond, and Karen C. Bennett, Hunton & Williams, led the discussion on NACWA’s Hot Topics in Clean Water Law webinar, covering pending litigation that could affect Member Agencies’ ability to rely on National Pollutant Discharge Elimination System (NPDES) permit compliance as a shield against citizen suits. Presentation slides, a recording, and speaker bios from the web seminar are posted on the handouts page. The panelists explained that under Clean Water Act (CWA) Section 402(k), compliance with a NPDES permit is compliance with the CWA, and permittees are thereby shielded from citizen suits (the permit shield). But, in recent cases discussed by the panelists, environmental groups are using common boilerplate NPDES permit language that incorporates water quality standards by reference to collaterally attack permittees. Following the presentation, NACWA’s Legal Affairs Committee Chair Hilary Meltzer, Deputy Chief of the NYC Department of Law’s Environmental Law Division, moderated an in-depth discussion and Q&A session. The discussion focused on raising awareness regarding what to look for in draft permits and offered suggestions on how to work with permitting authorities to strike the language from the outset in order to limit liability and avoid citizen suit litigation. NACWA encourages members interested in legal issues to join the Legal Affairs Committee – the next meeting will be on July 11 from 3:00-4:00 pm during NACWA’s Utility Leadership Conference & 46th Annual Meeting to be held in Denver July 10-13. The press event to announce these great developments took place at Association Member Agency DC Water’s Blue Plains Treatment Plant, and DC Water CEO and NACWA Board Member George Hawkins participated. 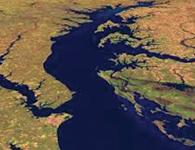 NACWA congratulates all of its member utilities in the Chesapeake Bay watershed for contributing to this remarkable achievement – keep up the great work! NACWA’s Small & Medium Utility Advisory Workgroup recently conducted a survey of the Association’s Member Agencies that serve communities of 75,000 or less in population. The survey explored the aspects of membership these utilities most valued, general perceptions of the Association, and their interest in potential new initiatives. The results of the survey provide insight into possible resources that could not only enhance the value these utilities receive from membership but also increase engagement – such as increasing low-cost, web seminar offerings and additional promotion of the innovative work being done at small & medium size utilities. Participants in the survey also indicated value in the concept of utility-to-utility partnerships. Among the aspects of utility-to-utility partnerships deemed most valuable were technical support on utility management issues and the opportunity to pool shared resources. This feedback is invaluable to NACWA as it works to formalize a utility to utility partnership program and develop other resources that meet members’ needs. The Association is committed to ensuring that it is representing utilities of all sizes across the nation – with the goal of ‘every utility a member’. The survey information will be valuable not only to better serve our current members but also to encourage new small and medium utilities to add their voice to NACWA’s advocacy efforts. EPA recently published a document, Technical Guidance for Assessing Environmental Justice in Regulatory Analysis , designed to aid Agency analysts (including economists, risk assessors, and others) in evaluating potential environmental justice (EJ) concerns associated with regulatory actions. As described, the document does not create any new regulatory obligations or requirements, but is instead intended to help EPA analysts assess whether EJ concerns exist prior to a rulemaking, and whether such concerns are exacerbated or mitigated for each regulatory option under consideration. The document is meant to be used in conjunction with EPA’s Guidance on Considering Environmental Justice During the Development of an Action, which was published last year. On June 13, EPA finalized its effluent guidelines for the Unconventional Oil & Gas Extraction category. Wastewater produced by this type of oil and gas extraction, which is known as fracking, contains high concentrations of total dissolved solids (TDS) and can also contain many other organic and inorganic chemicals, metals, and radioactive materials. Since POTWs are not designed to remove these types of contaminants, EPA established a zero-discharge standard for this wastewater, prohibiting its discharge to POTWs. In comments on the proposed rule last year, NACWA supported this standard, since no Association members accept this type of waste in order to protect their operations and their receiving waters. EPA is seeking up to nine volunteers to consult on an Information Collection Request (ICR) supporting statement and draft Water Infrastructure Finance & Innovation Act (WIFIA) application materials that are available on regulations.gov. Volunteers need to be potential applicants to the program, such as government entities, corporations, partnerships, and State Revolving Fund programs. The feedback provided during the consultations will be used to revise the application materials and burden estimates. For more information on the WIFIA program, visit https://www.epa.gov/wifia. Are the instructions and forms are clear? If not, what areas need clarification? Do any requirements seem unnecessarily burdensome? Why? How could we make it better? How long do you estimate it would take to compile and provide the necessary information to EPA? Is there any other feedback on the application materials that you would like to share with EPA? EPA’s new Adaptation Case Study & Information Exchange plots utility and community climate adaptation case studies on an interactive map to make it easier for users of a similar type, location or climate threat to gather and share information about resilience planning. If your utility has adaptation success stories to share you may also submit them via this link to be added to the map. A number of NACWA members, including Camden County Municipal Utilities Authority and Capital Region Water, are among the first set of case studies. The Workshop Planner for Climate Change & Extreme Events Adaptation provides local officials and utility staff with easy-to-use templates to facilitate an adaptation planning workshop exploring how extreme weather events affect water resources. 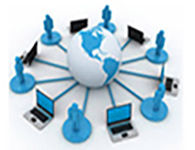 The web tool allows users to pick a scenario and customize materials to conduct a workshop in their community, from invitations to presentations. EPA expects to launch the newest version (3.0) of its Climate Resilience Evaluation & Awareness Tool (CREAT) later this summer. NACWA Member Agency, DC Water, recently launched a new interactive map and supplemental online content designed to help property owners identify the material that makes up their water service lines. The easy-to-use map allows customers to enter an address to see if their service lines are lead or another material, where records are available. Newly added features provide customers with access to information regarding lead in water; identifying lead service lines or requesting free testing; and what to do if they have lead service lines or other lead sources in their plumbing. DC Water has collected pipe material data from plumbing records, service installation, and maintenance activity to provide the most up-to- date information for its customers. The utility has also pledged to pay for the replacement of lead service lines in public space if property owners elect to replace their portion of the line located on private property. Limiting lead exposure is a shared responsibility. With the launch of their new interactive map, DC Water has taken active steps to efficiently serve its community and protect its residents both at work and at home for years to come. Don’t miss the opportunity to register now for NACWA’s 2016 Utility Leadership Conference, Leadership Strategies for the Smart Utility. The July 10-13 conference will explore not only how utilities can best adapt management approaches to meet the changing expectations of both ratepayers and employees – but also how even more innovative management techniques will be needed as clean water agencies become increasingly complex and information becomes more widely available. Plan now to join your colleagues in Denver for Leadership Strategies for the Smart Utility. Have you gotten involved in NACWA's online community – Engage™? Ranked high in value in a survey of NACWA's members, Engage™ offers solutions to utility challenges and a platform to network with colleagues. If you haven't yet engaged in this valuable member resource, now is the time! Discussions are currently underway on FOG compliance and local limits; Capital Improvement Plan metrics; and permit shields and general provisions in NPDES permits. Why not add to the conversation and join our community? Get engaged today!